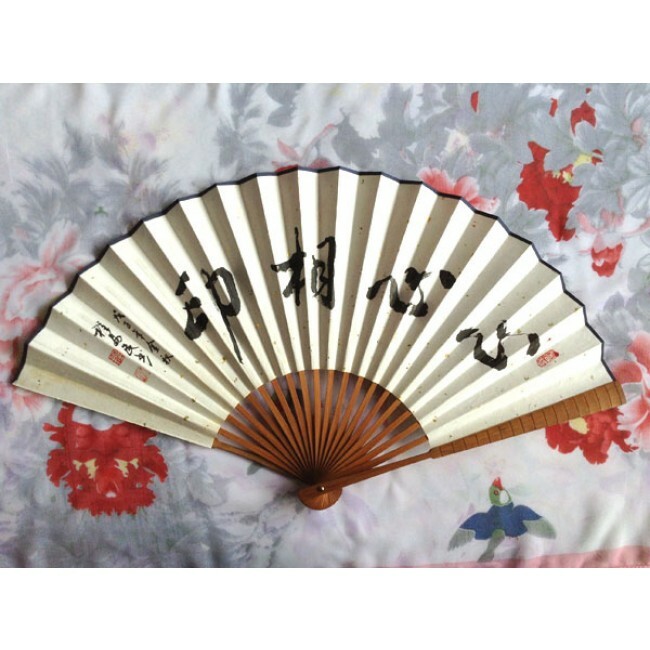 This traditional Chinese fan is made of bamboo and paper, with handwritten Chinese calligraphy that says "Telesthesia between Two Hearts". The phrase is mostly used to describe the telesthesia between two people in love. Dated and stamped by the calligrapher.